Transcription is a process by which cells are able to express their genes. It is how DNA is re-written into RNA (specifically messenger RNA). mRNA may then direct the synthesis of various proteins. Controlling the production of mRNA in the nucleus allows the regulation of gene expression. 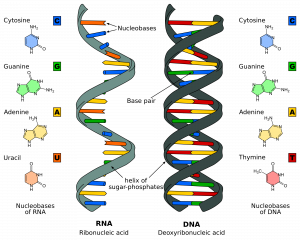 In this article we will look at the process of DNA transcription and how mRNA is processed. RNA, like DNA, is a polymer of subunits joined by phosphodiester bonds. However there are some key differences in these monomer units and how they are structured. The process of transcription can be broadly categorised into 3 main stages: initiation, elongation & termination. Transcription is catalysed by the enzyme RNA polymerase. It attaches to and moves along the DNA molecule until it recognises a promoter sequence. There may be multiple promoter sequences in a DNA molecule. They indicate transcription start sites. 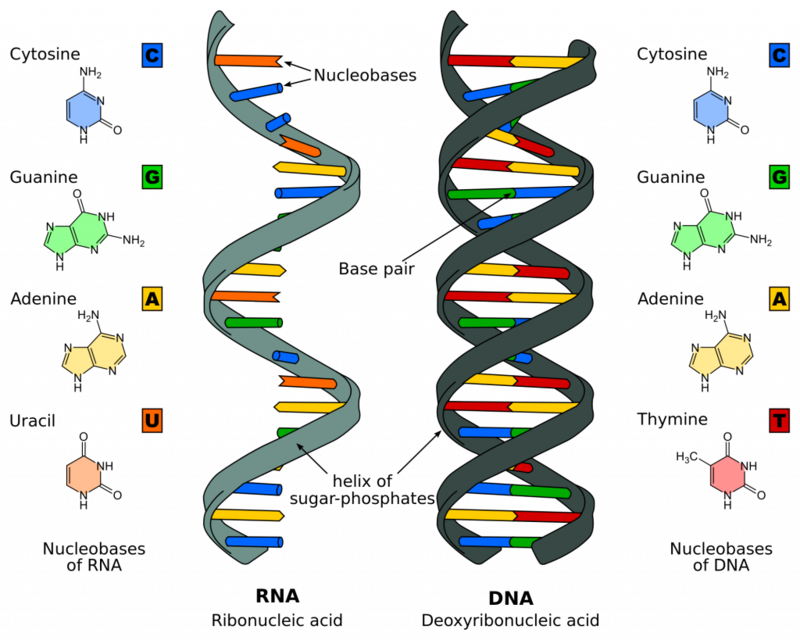 It then unwinds a portion of the DNA double helix, exposing the bases on each of the singular DNA strands. One of the strands will act as a template to create the new mRNA strand. Incoming ribonucleotides are used by RNA polymerase to form the mRNA strand. It does this using complementary base pairing (A to U, T to A, C to G and G to C). The RNA polymerase then binds the ribonucleotides together covalent by phosphodiester bonds. Understanding transcription in both eukaryotes and prokaryotes allows you to target their metabolic differences. This allows transcription to be disrupted in prokaryotic bacteria without harming the body’s eukaryotic cells. This is the process by which ribonucleotides are added to the template strand, enabling growth of the mRNA transcript. The mRNA transcript is made in a 5’ to 3’ direction. 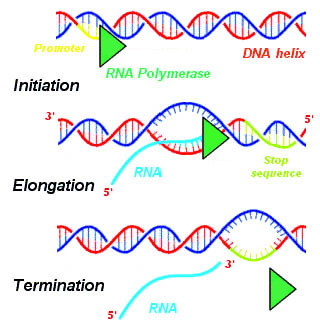 Elongation will continue until the RNA polymerase encounters a stop sequence. At this point, transcription stops and the RNA polymerase releases the DNA template. By the end of transcription, mature mRNA has been made. This acts as the messaging system to allow translation and protein synthesis to occur. Within the mature mRNA, you have the open reading frame (ORF). This is the region that will be translated into protein. It is translated in blocks of three nucleotides, called codons. At the 5’ and 3’ ends, there are also untranslated regions (UTRs). These are not translated during protein synthesis. This condition occurs due to a single base pair substitution (G to A) in the enzyme phenylalanine hydroxylase. This results in intron skipping, producing unstable mRNA. 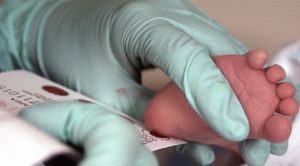 It is a genetic condition that is tested for in newborn babies via the heel prick test. Individuals with phenylketonuria accumulate phenyalanine in their tissues, plasma and urine. Phenylketones are also found in their urine. Symptoms of PKU include intellectual disability, developmental delay, microcephaly, seizures and hypopigmentation. Treatment includes consuming diets low in phenylalanine and avoiding high protein foods such as meat, milk and eggs. Which sugar is present in DNA? Which base is NOT present in DNA? Which base is NOT present in RNA? In which direction in the mRNA transcript made during transcription? Which enzyme catalyses the process of polyadenylation or tailing? What base substitution occurs in phenylketonuria?